TruGreen - Three Years of service and I have dead and dying shrubs and grass at my house! Paid for bushes to have root zone fertilizer. Instead TruGreen threw out granules no injection fertilizer done . Complained they never responded. TruGreen killed my shrub with the chemicals they use and they refuse to take responsibility. Just remember TruGreen a good business stays in business but a bad business falters and It's just a matter of time before you go out of business due to bad service. I lived here 15 years, let them do a schrub treatment one time, killed them, they denied everthing, said i had bad soil, bogus lawn service, they will never admit liability, and supervisors rude. I had the same thing happen to me. 10 out of 13 killed by TruGreen Tree and Shrub Services. 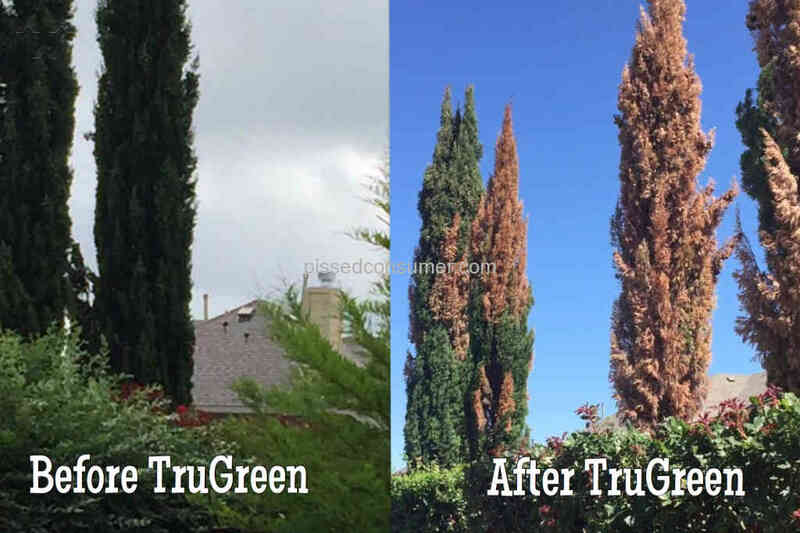 TruGreen - Did not take care of my shrubs. They had a bug and died.